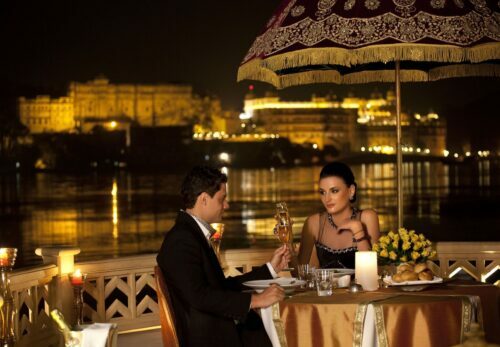 As far as destinations for fine dining in India go, the Leela Palace Udaipur is one to visit. Sheesh Mahal, a terrace restaurant where guests dine beneath the stars, as well as the interior Dining Room, are both counted within Rajasthan’s finest restaurants, where traditional cooking and innovative culinary techniques meet. 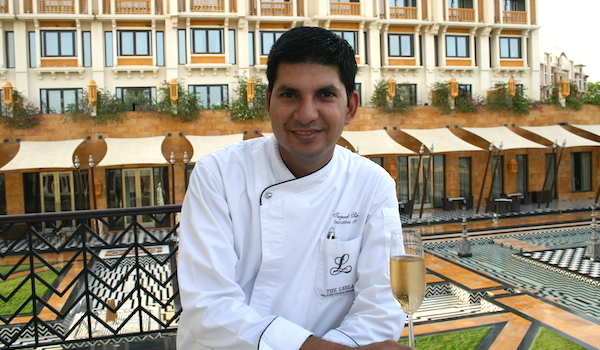 To find out more about the Leela’s restaurants, from special dishes and locally sourced ingredients to their Rajasthani specialties and spa fare, we spoke with Kayzad Sadri, the hotel’s Executive Chef. You’ve spent the bulk of your career working for some of India’s most impressive hotels – the latest being the Leela Palace Udaipur. How does a hotel’s restaurant factor into its overall hospitality concept? Over the last few years, hotel restaurants have, with their unique concepts, sleek design, and highly talented chefs, gained prominence and now command a strong identity within a hotel. A great example of this is our hotels in Mumbai and Delhi, which are very well known for restaurants like Le Cirque and Megu. One of the focuses of the Leela’s menu is ‘spa cuisine.’ Which dishes are best for guests looking for light and healthy fare? We at the Leela Palace Udaipur keep a lot of things in mind when drawing inspiration for the menus, one of them being the need for our guests to eat healthfully. One example of a light and healthy dish on our menu is the watermelon salad with feta cheese mousse, homegrown cress, and sherry vinegar gel – it’s spa cuisine that is also visually stunning. Another example is pan-seared red snapper with Valencia orange, fennel sauce, pistachio puree and braised beets, which is equally refreshing. Many of the restaurant’s dishes use organic, wholesome ingredients. Do you source ingredients locally? 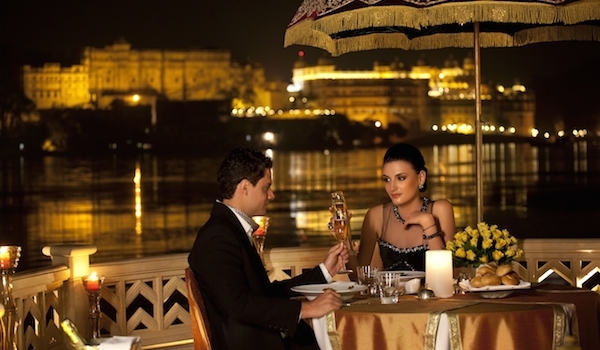 What difference does that make in your fine dining in India? We source exotic vegetables from a farm locally; in winter we also have a small chef’s garden on the premises where we grow herbs, lettuce and vegetables. This makes a big difference to the flavour profile of a dish, as ingredients taste better and more natural when they are grown without preservatives. We also source corn-fed chicken and duck from a local farm, the flavour and texture of which are both superlative. How does The Dining Room’s menu blend different fusion influences – from local culinary touches to international fine dining techniques? Which other cuisines inspire you? The Dining Room is a concept that allows the team of chefs here a wide creative space within which to showcase their craft. The international menu has dishes ranging from modern European cuisine to Mediterranean, Thai, and beyond. The Indian selection in The Dining Room also covers popular cuisines from the length and breadth of the country, though it is anchored by a strong selection of local Rajasthani cuisine. How is working in Udaipur different from New Delhi, where you were based previously? 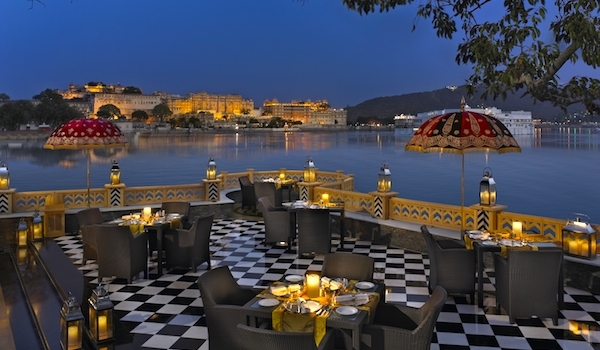 Udaipur is a beautiful, luxurious city that attracts travel and food aficionados from around the globe. Given that it’s a resort destination, we can engage our guests with lavish culinary offerings like a nine course degustation menu with wine pairing, something guests in Delhi never have the time for. 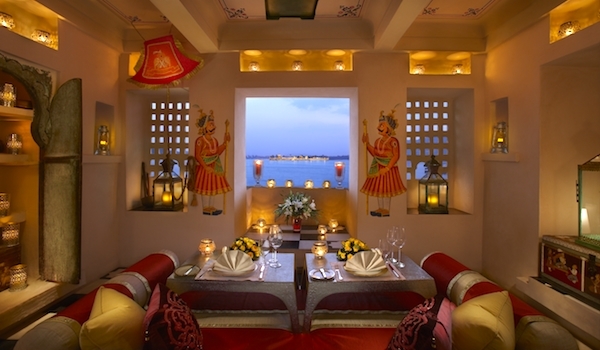 How much do dishes at The Leela reflect Rajasthani culinary heritage? Can you tell us more about some defining elements of Rajasthani cuisine? Rajasthani cuisine occupies pride of place on the menu at Sheesh Mahal. The most defining element of Rajasthani cuisine is the climate – a dry, long summer and absence of fresh produce for six months of the year ensures that locals use a variety of milk products and meat, especially lamb, which I may add is the best in the country. Also, dry pulses and dry vegetables like ker sangria and punkuta shaak are very unique to Rajasthani cuisine. Another feature is the vegetarian diet of the Jain and Marwari communities settled in Rajasthan. This cuisine is cooked in ‘ghee’ or clarified butter, and uses lentils frequently. When it comes to planning a menu, where do you begin? What inspires you creatively when devising a dining programme? For me the, menu-planning phase is the happiest time of the season. It is a creative process that gets everybody in the kitchen excited. I also like to involve non-culinary team members of the hotel in menu planning, as their feedback is often in line with what our guests want. Seasonality is also very important when planning a menu as it assures proper availability when a particular ingredient is at its peak quality. 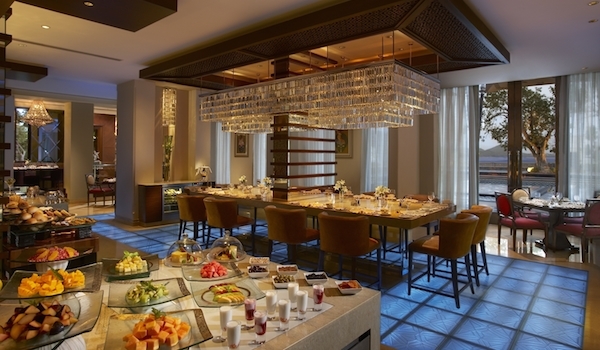 What are a few of the hotel’s signature dishes that guests should try? Guests can start their day with any of our three signature spa juice offerings before moving on to a black truffle omelette or baked eggs with parma ham and goats cheese. For lunch, our Angus tenderloin burger, served in a brioche bun, can be ordered with a thick slice of pan seared French foie gras – it’s an over-the-top burger experience. For dinner, guests can select from the grill station, be it Wagyu sirloin or made-to-order lobster risotto, and then finish with a baked-to-order soufflé. Guests who like Indian cuisine are also well catered to, with kebabs and biryanis for lunch and the quintessential Rajasthani dish laal maas for dinner. You’re also well-known for your desserts. What’s the most elaborate bespoke dessert that you’ve ever made? I do have a sweet tooth! I remember in February we had a dinner for a top food journalist’s birthday and we decided to do an Indian take on a baked Alaska. Since it was a formal dinner of about a dozen guests I decided to flambé each portion at the table, so 12 plates of dessert were set aflame at the same time!